Fitbit has recently launched their new fitness band, Fitbit Charge 3, and it has some new features, like completely waterproof design, as compared to Charge 2. But what we would stress up on is whether it is a good buy this year or should you be waiting for better versions! Let’s take a good look at the modifications introduced in Charge 3 model by Fitbit. Fitbit Charge 3 has been given a 40% larger display than its previous model. The display is still black and white, which is a disappointment. The large screen is very convenient and with a better resolution. The designing is sleek and lighter. The screen is rectangular in shape and the thinner design makes the band look appealing. It is 20% lighter than its predecessor and is totally waterproof. There are no buttons to press on the new model and it is completely touchscreen, making it easier and smooth. There is one button on the left side of the screen that can be used to wake up the display or return back to the main screen. It also gives a vibration as you press it so that you know it has worked. Initially, it might be difficult to know and adapt to its functions, but once that’s done, it works smooth. The PurePulse heart beat tracker has now been upgraded with Pulse Oximetry SpO2 sensor. This combination makes the band far more comfortable and better. The strap has been modified too. Instead of the tiny metal buttons that were present on Charge 2, Fitbit Charge 3 has just a small black button. Once you push this tiny button, your band will automatically get ejected. 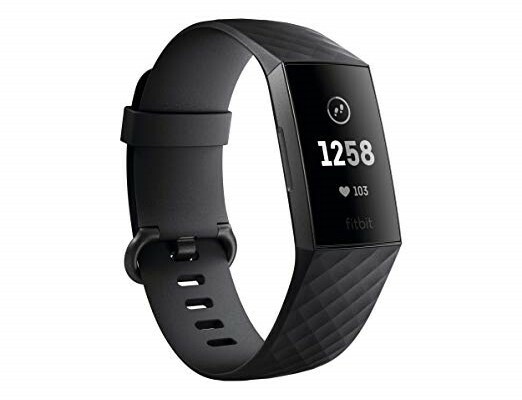 You can get your best Fitbit Charge 3 with AliExpress Coupons at best rates for sure. One drawback that was felt was that the strap is made up of plastic and looks quite cheap. A silicon band looks far better and feels better too. Though a plastic strap, it feels very comfortable as compared to the rest of the bands available in the market. You can easily wear Charge 3 throughout the day without any discomfort. Iconic and Versa models are far better, no doubt, but the screen of Charge 3 has a large clear display despite the smaller size. The monochrome feature is, though a drawback as compared to Versa, but black and white display makes sure the battery usage is minimal. Though it has no GPS of its own, it uses your phone’s GPS to track your movement. New creative features added are weather, timers, tracking swimming in addition to walking and running and more notifications from your mobile applications. Fitbit has promised some better features in its next model and we will be looking forward to checking those out. For relaxation, they have provided guided breathing as well. Tracking fitness is a delight with Fitbit Charge 3. It will start tracking your workout automatically and you don’t have to manually do anything. It’s a big disappointment, especially for runners, that Charge 3 has no GPS of its own. It can be connected to your phone’s GPS though and can accurately measure your distance and track your runs but you will have to take your phone along as well. Another interesting feature present on the fitness band is female health tracker. Females can now track their periods using Fitbit Charge 3. It has sleep tracking as well and can track light and deep sleeps. Also, it comes with a silent alarm that will make it gently vibrate to wake you up and won’t be disturbing anyone else around. It might not be very useful for heavy sleepers though. Wearing the band throughout the night feels quite comfortable. If you would like to explore some more bands available to buy online then you can choose Tata Cliq Offers available to give damn good prices. With proper functioning, it can last for over six days on one charge. Life percentage gets displayed on the screen. The app for the band is compatible with both iOS and Android and it very simple and intuitive. The cost of the device is $150. It is affordable and at this price, gives very interesting features. It is great for those who workout daily and need tracking of their exercises. But for runners, Fitbit Charge 3 isn’t up to the mark. It is a good option for people who moderately exercise.